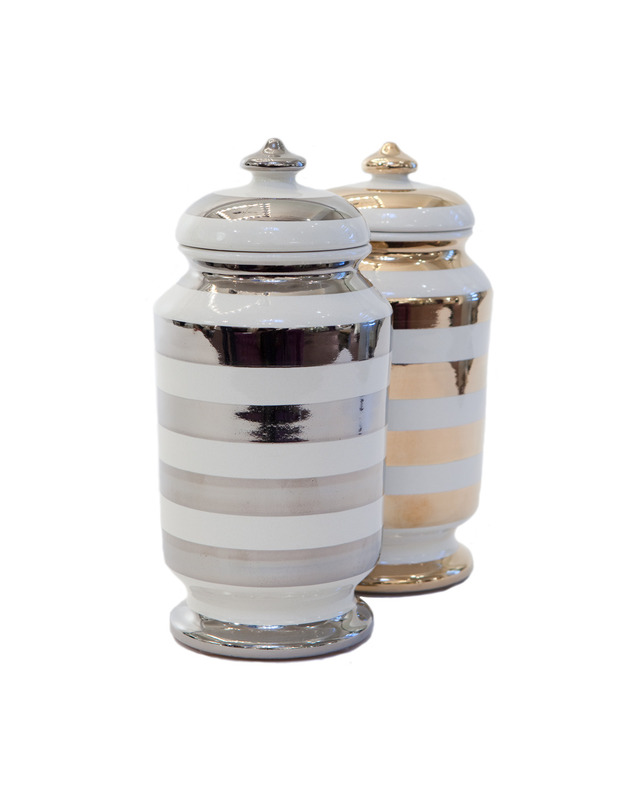 Visionnaire online shop - Ceramic vase with gold and ivory horizontal stripes. 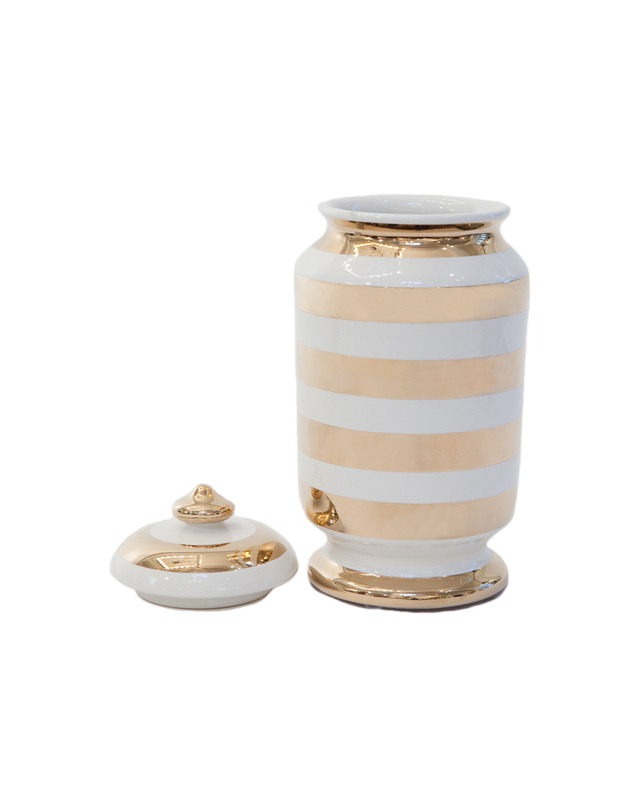 ARNOLFO – Ceramic vase from Faenza with gold and ivory horizontal stripes. 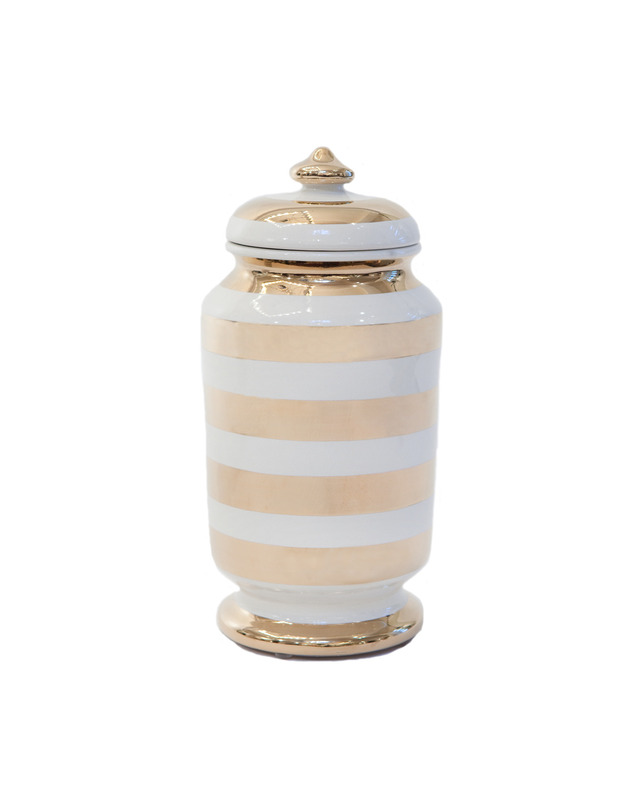 Diameter 12 h26 cm.